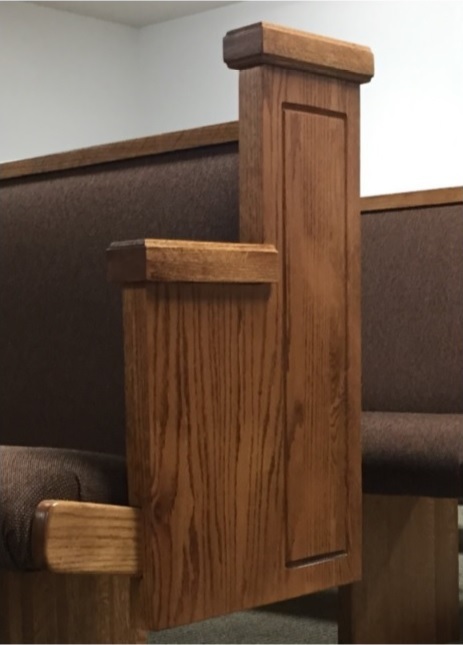 Cantilever Ends: Our church pews with cantilever ends are built from solid red oak and provide a contemporary style for your congregation. 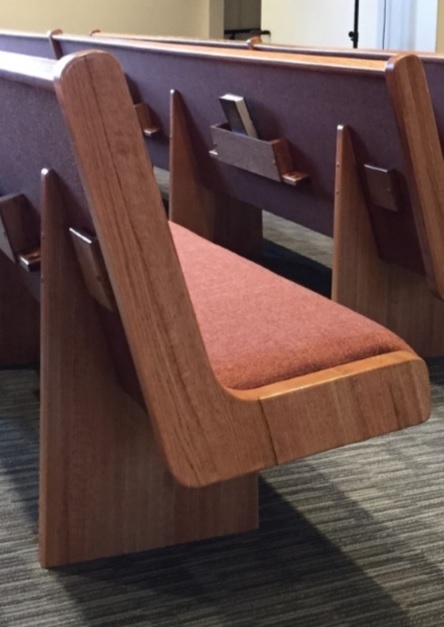 Differences of cantilever pews and other pew styles are the cantilever pews offer a modern and contemporary style of worship. 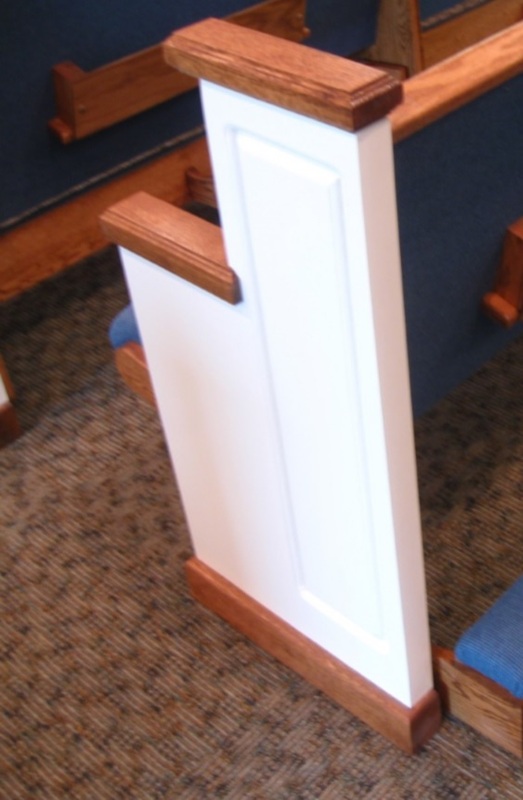 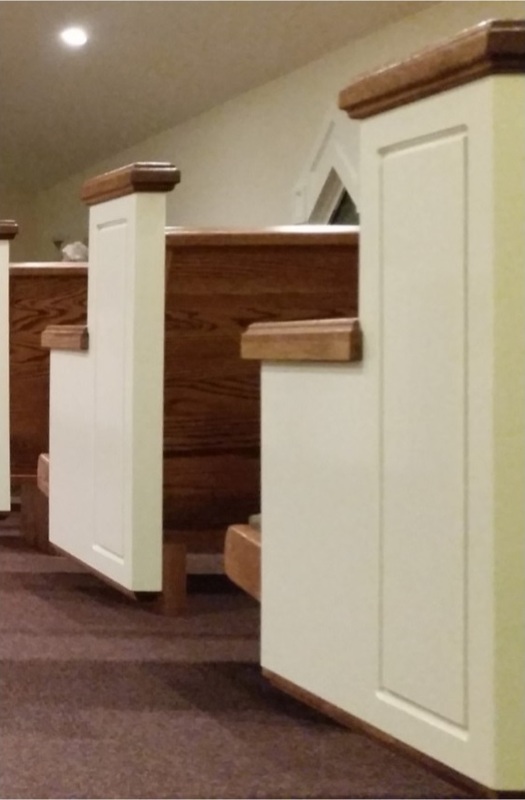 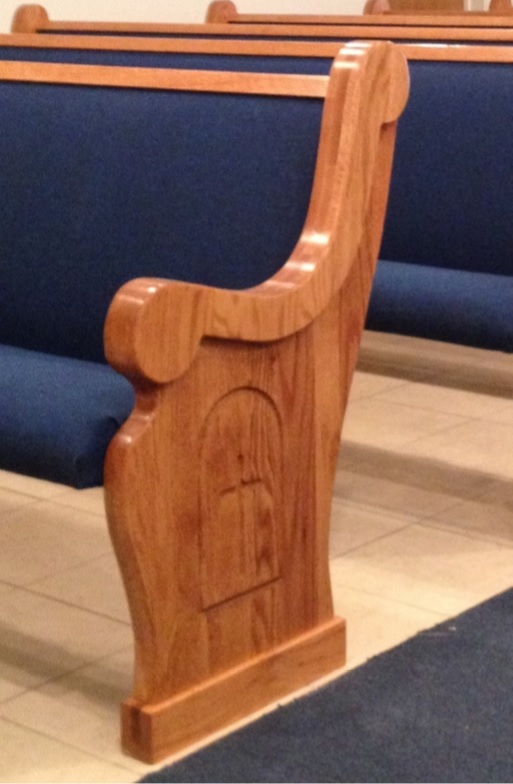 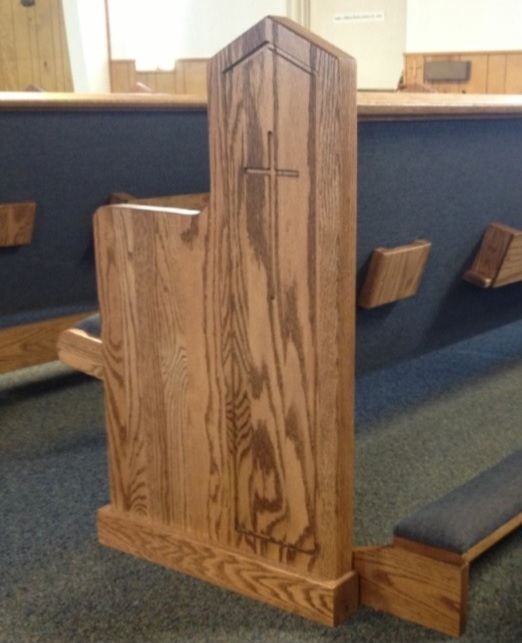 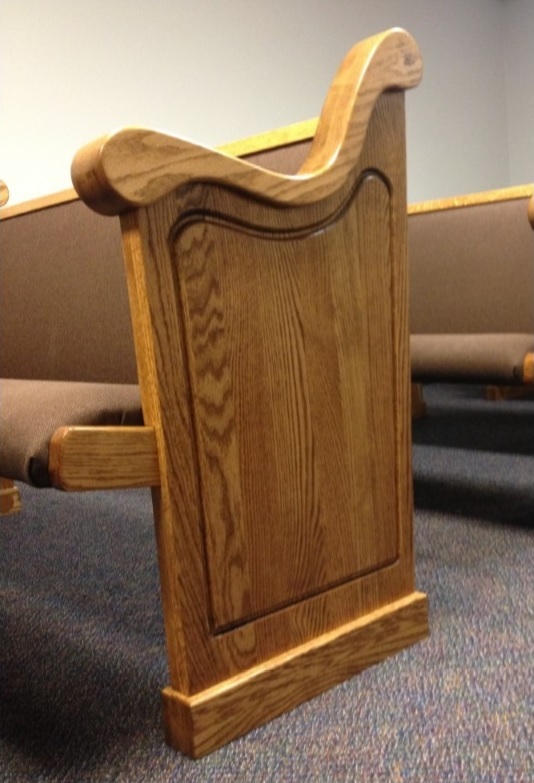 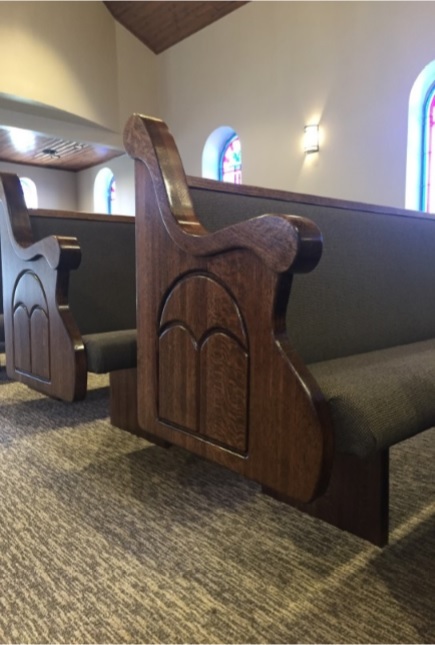 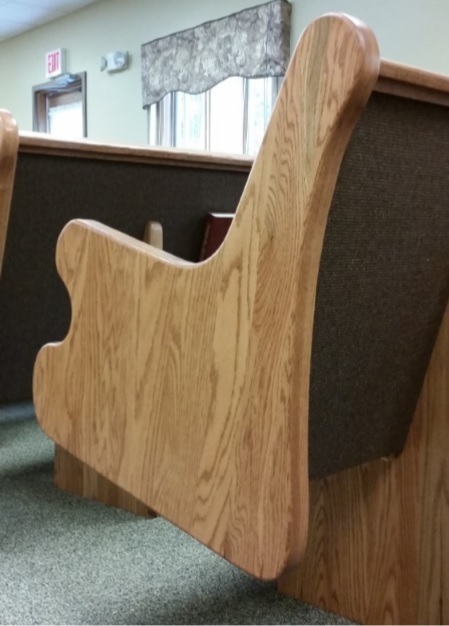 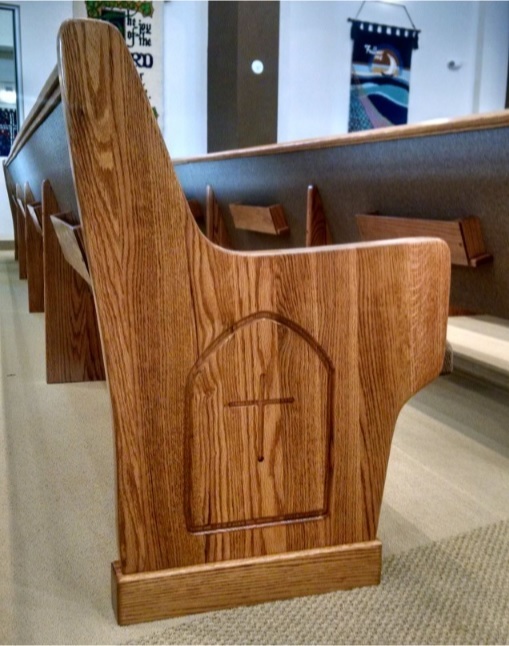 Cantilever pew ends can be accessorized with kneelers or book racks that accommodate for a variety of congregations. 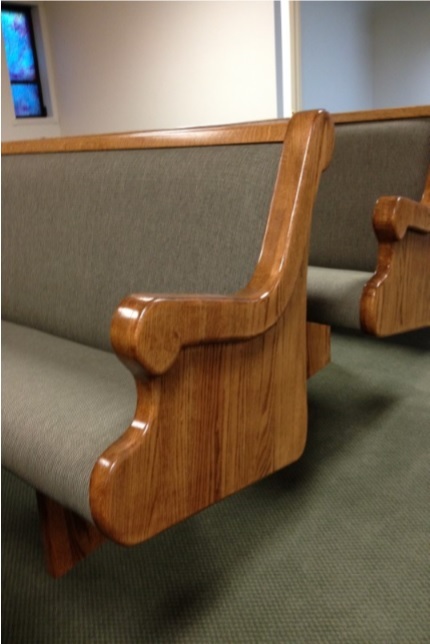 Full Ends: Full end church pews are an everlasting traditional pew style. 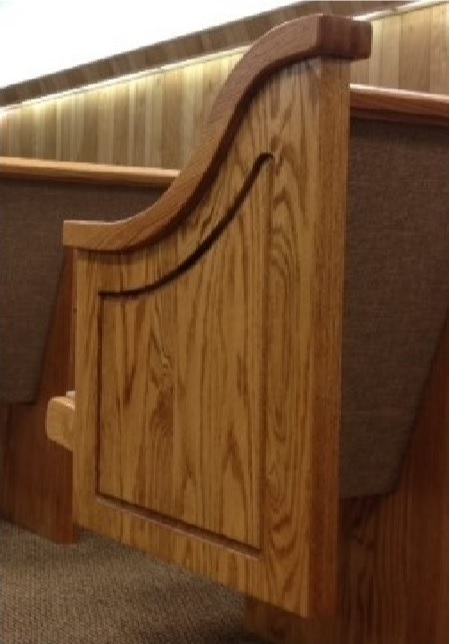 Full end pews feature a comfortable and artistic style that creates a warm and welcoming worship space. 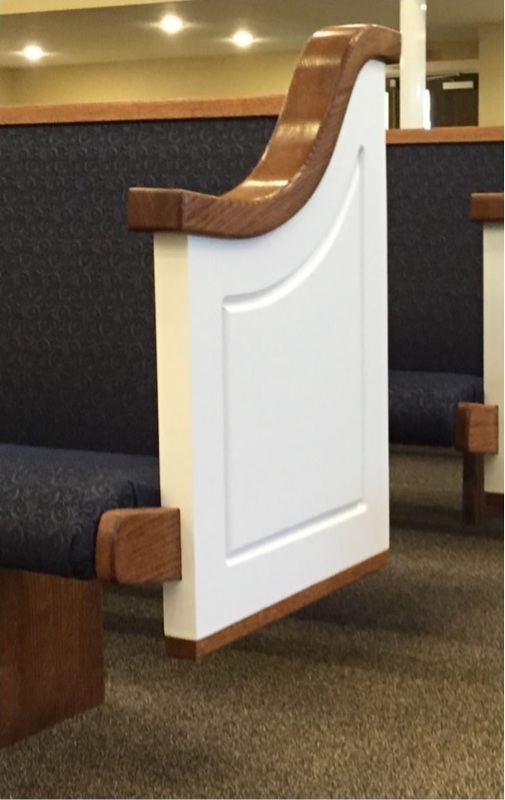 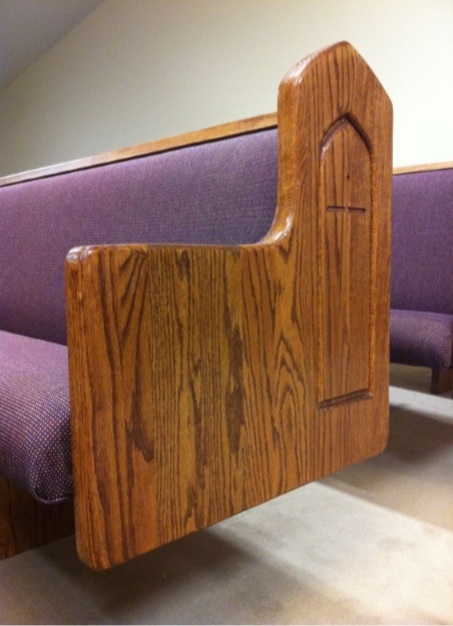 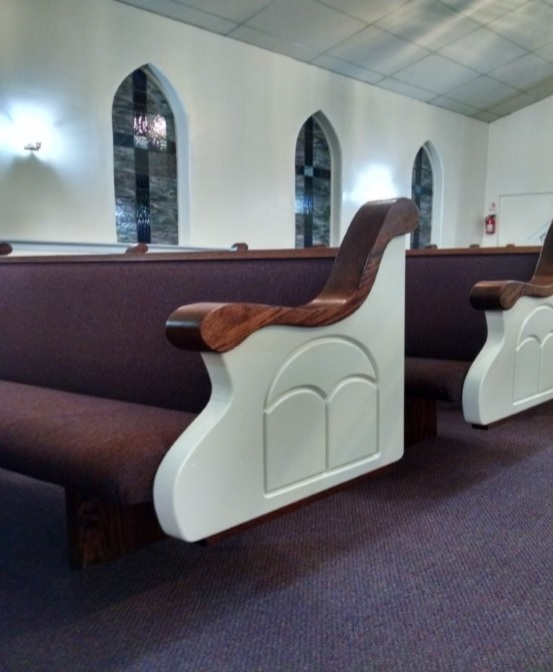 This is a classic pew style that remains one of the most popular pew ends offered at Born Again Pews. 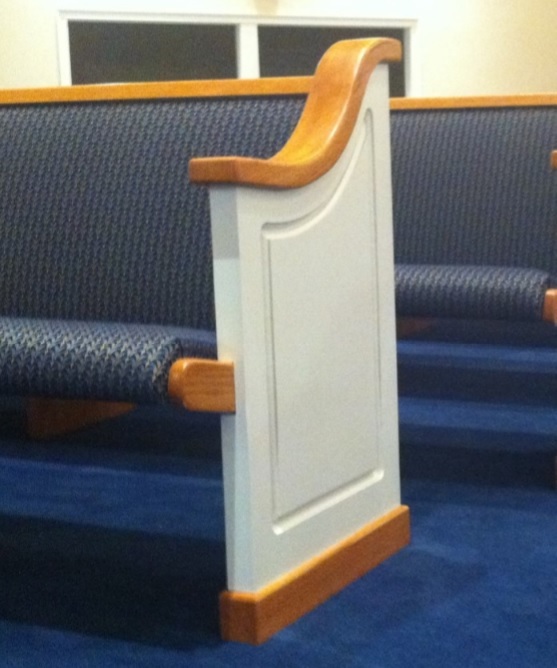 Colonial White: The colonial white pew style is a pew that incorporates beauty and durability. 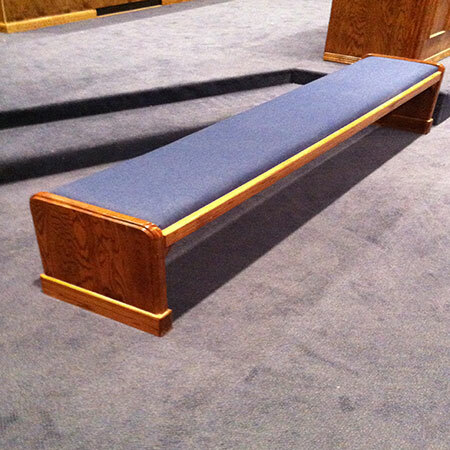 This colonial style of pew has a robust base and a scuff-resistant coat to protect the finish. 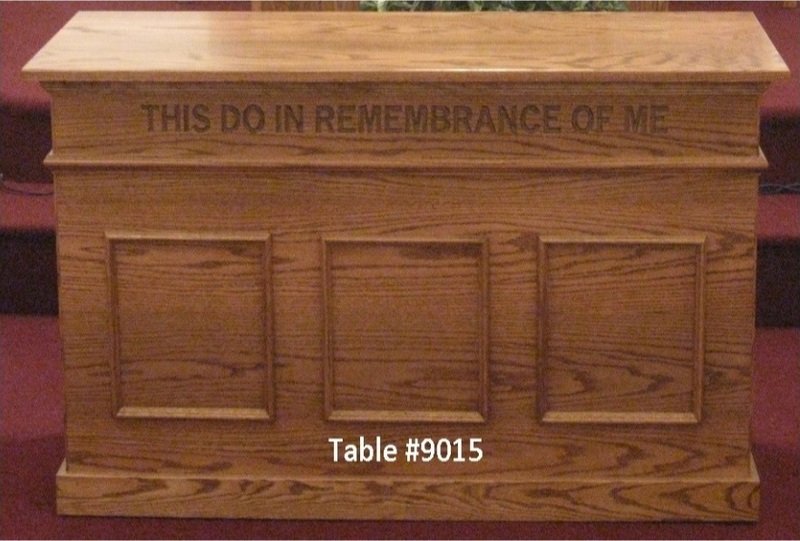 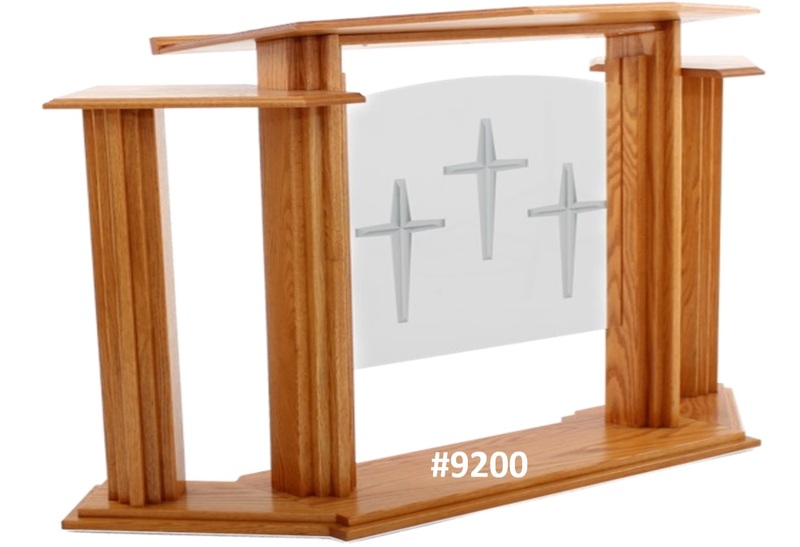 Table Furniture: We make matching communion tables, flower tables and more for the church furniture collection. 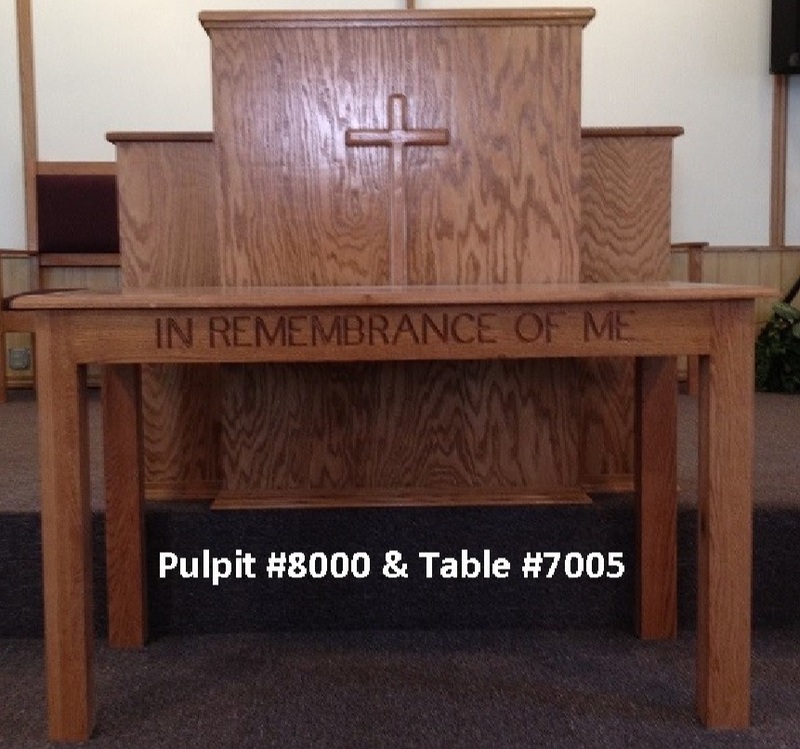 The tables offer a dynamic addition to the worship experience. 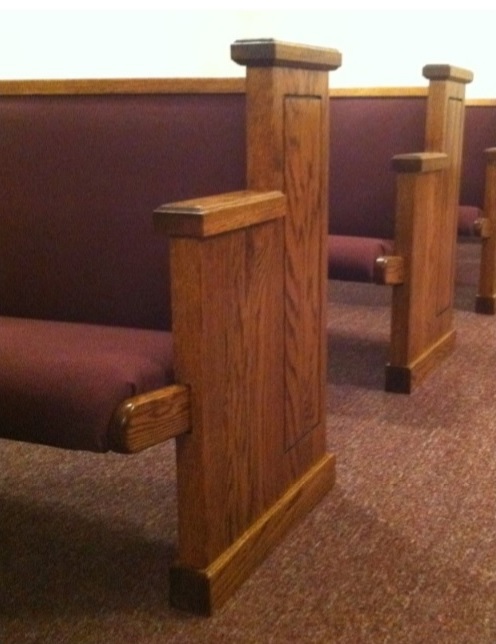 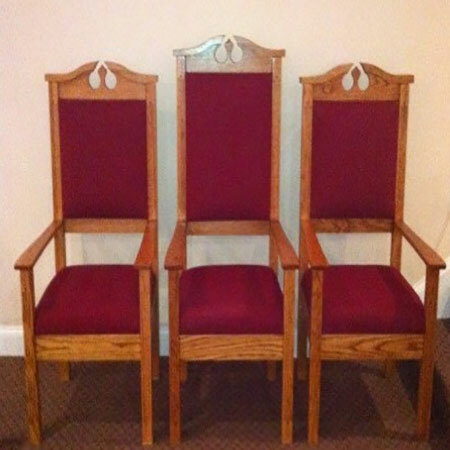 Church Chairs: At Born Again Pews, we offer affordable church chairs designed to match your furniture. 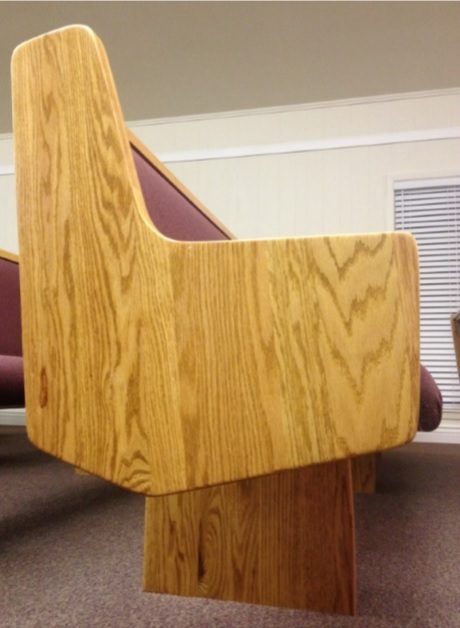 Chairs can provide extra seating for your congregation and/or seating for your church choir. 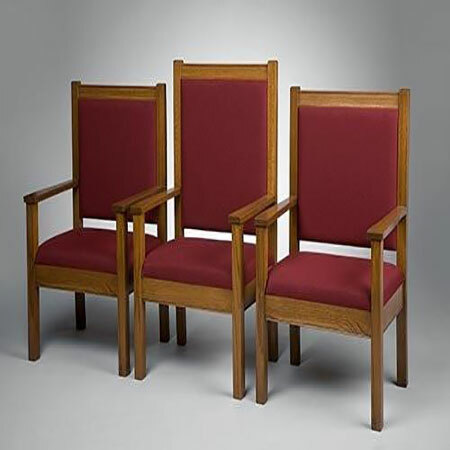 With a wide variety of wood stains, our chairs are capable of matching any church furniture set. 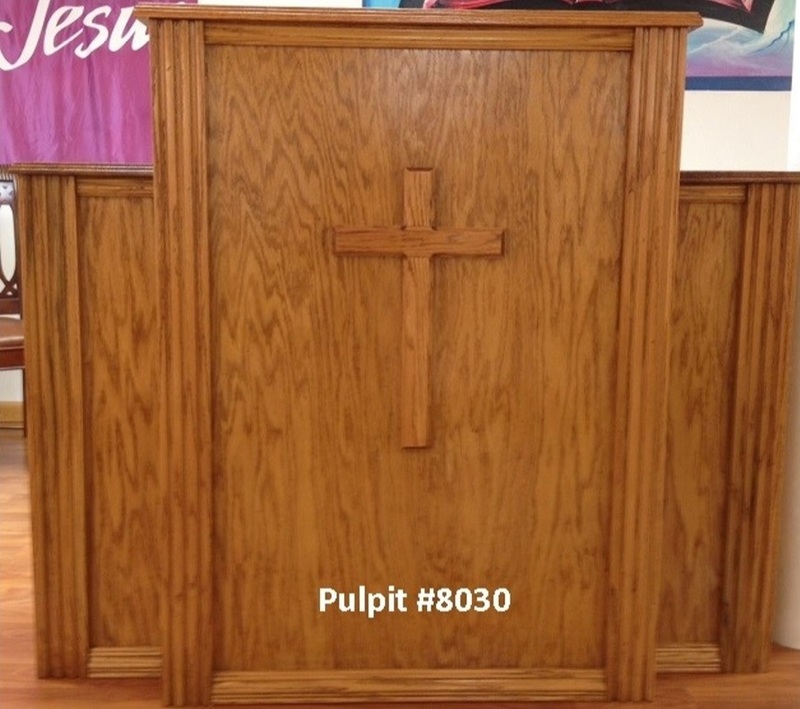 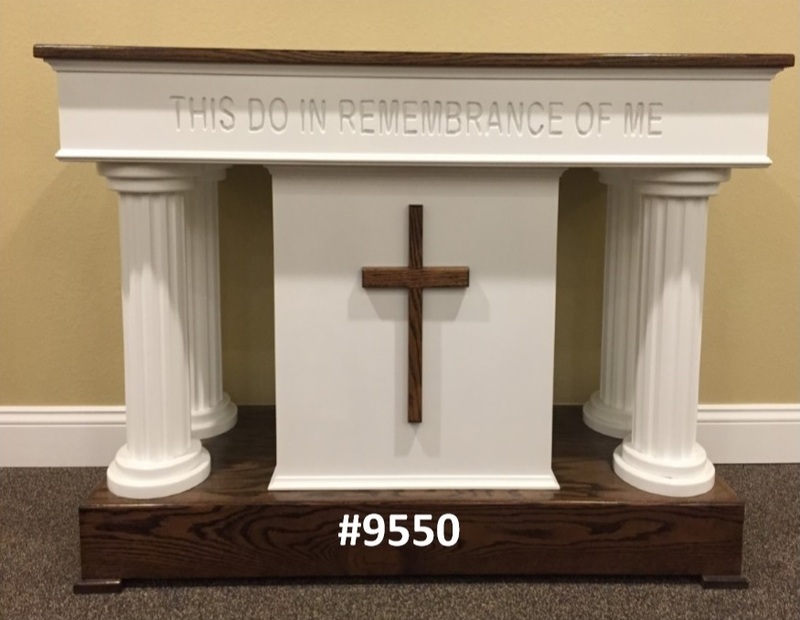 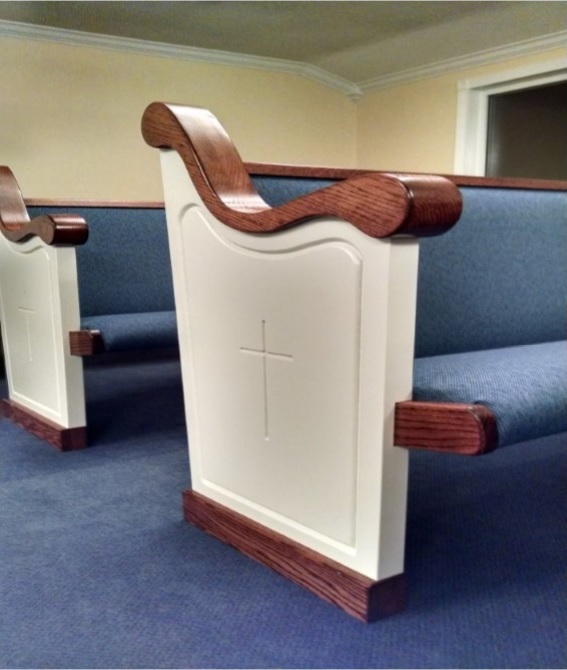 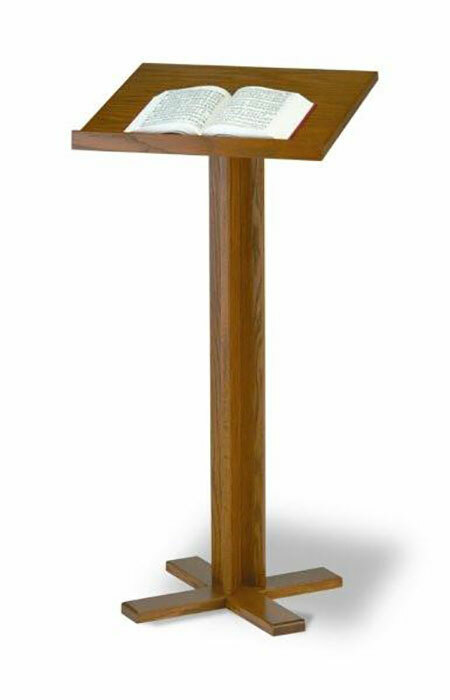 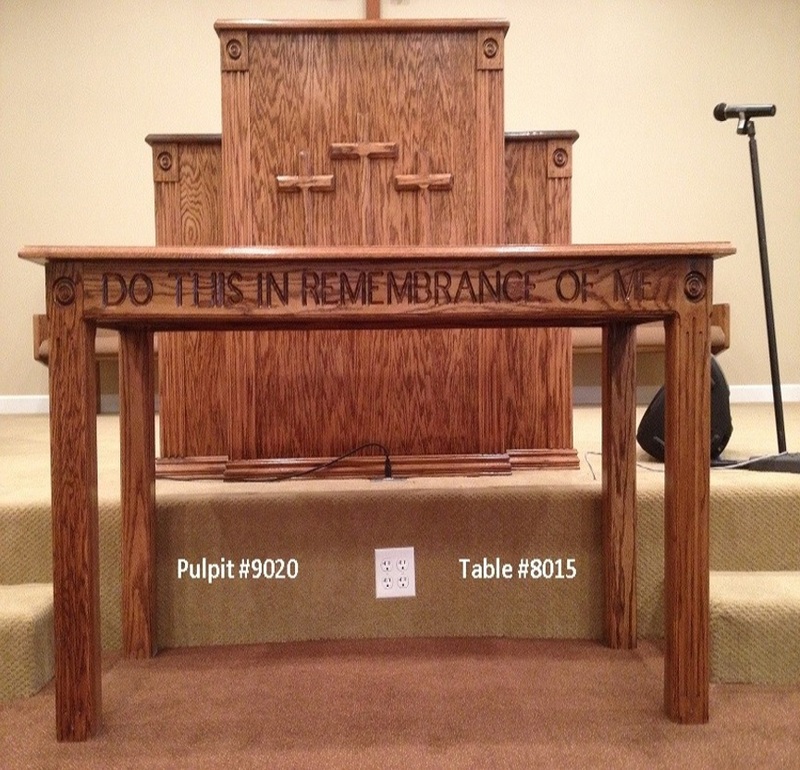 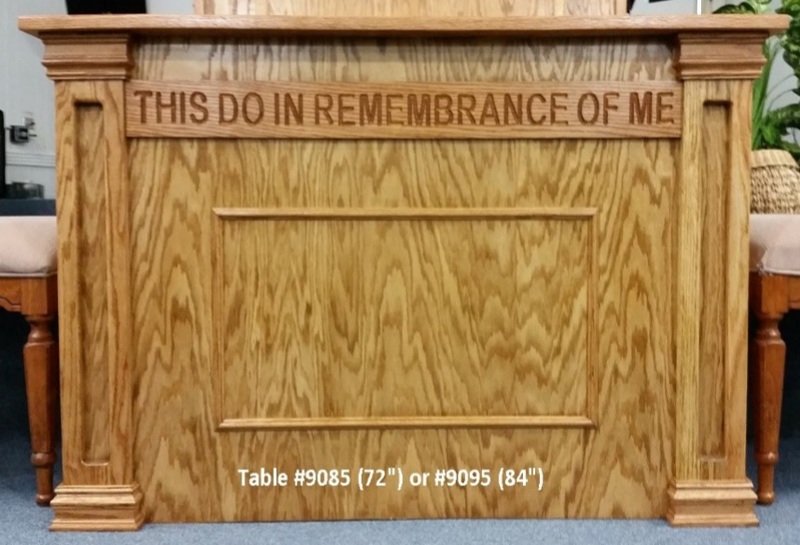 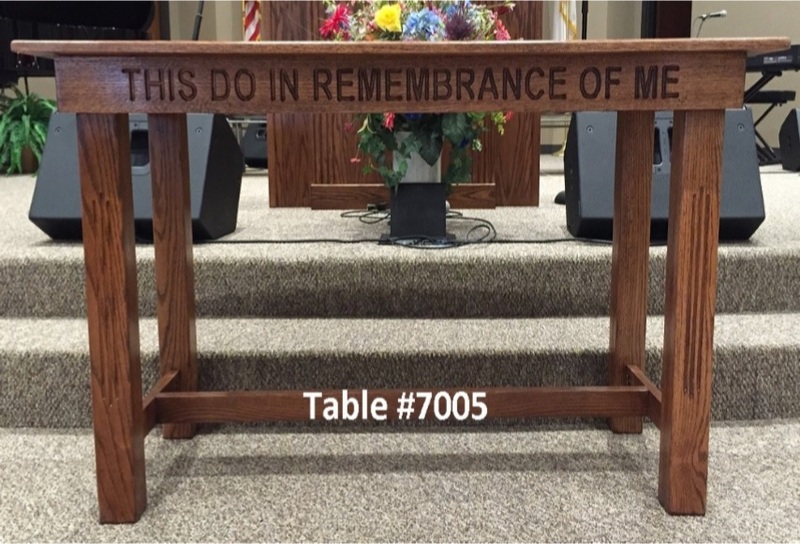 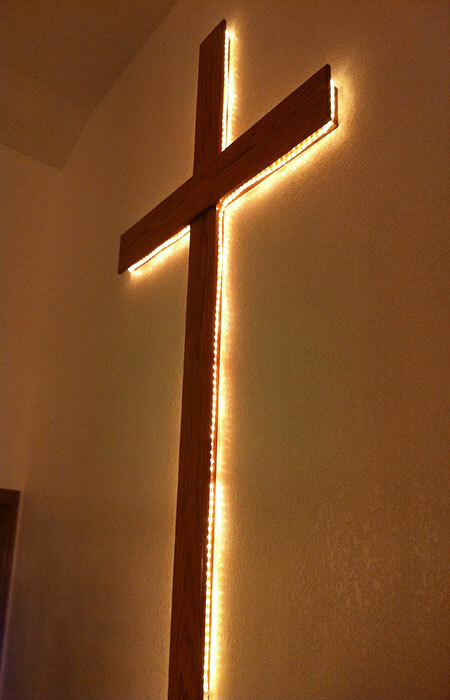 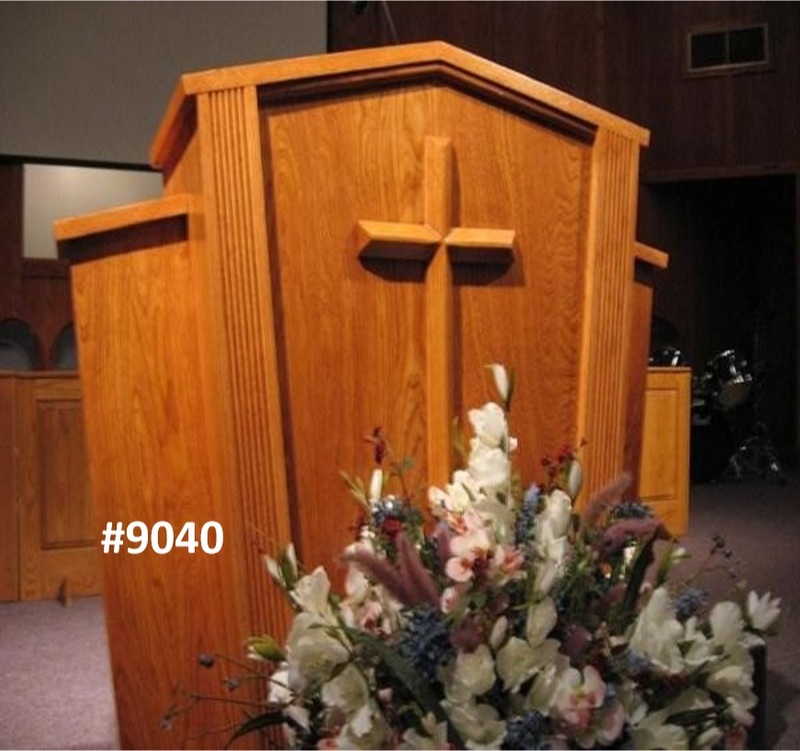 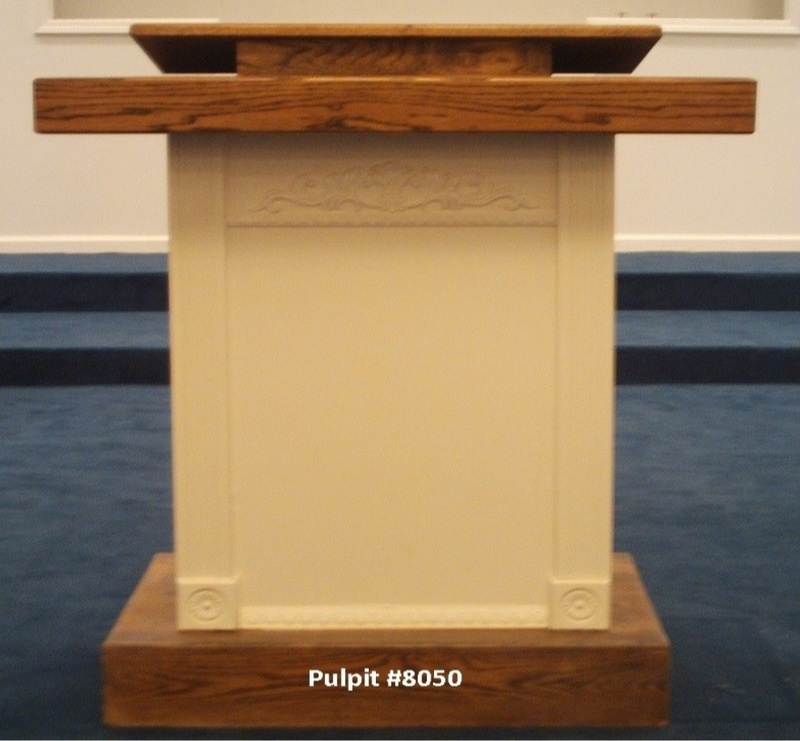 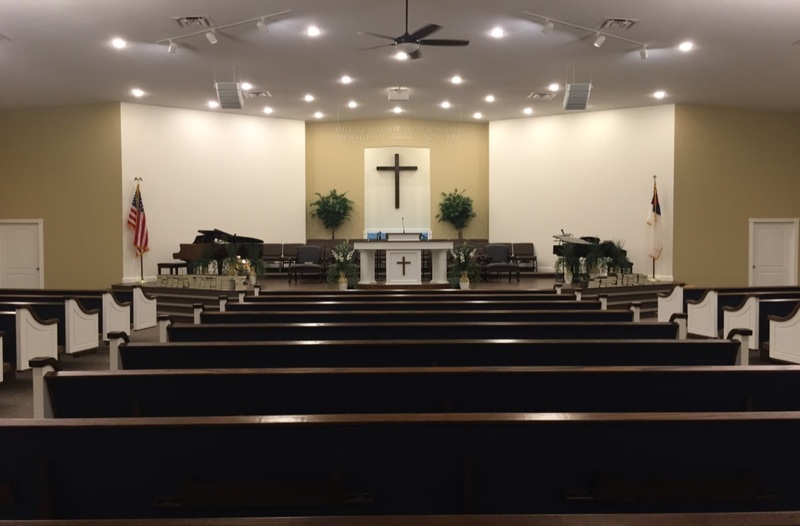 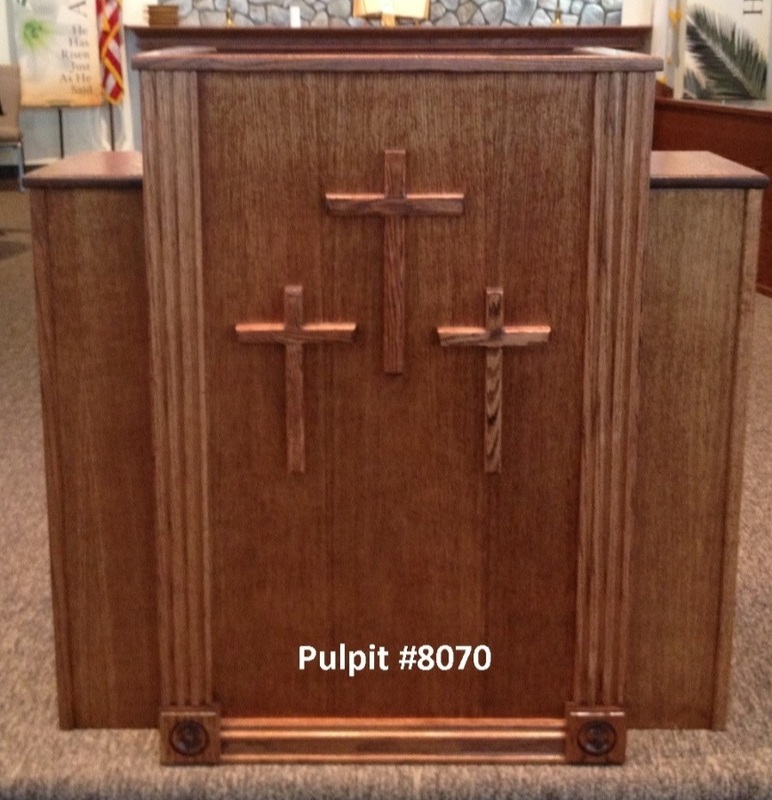 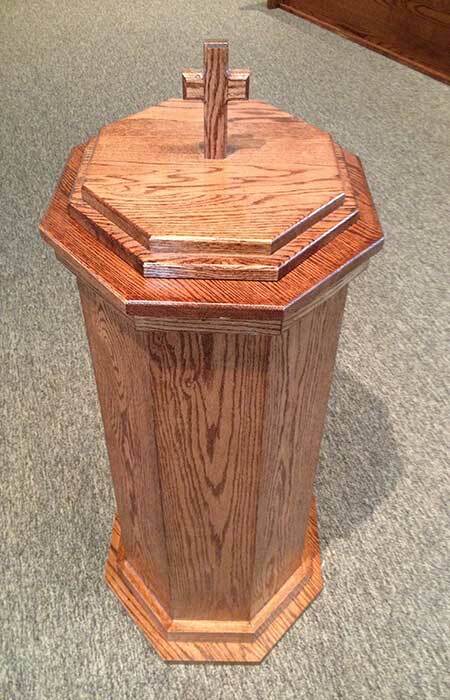 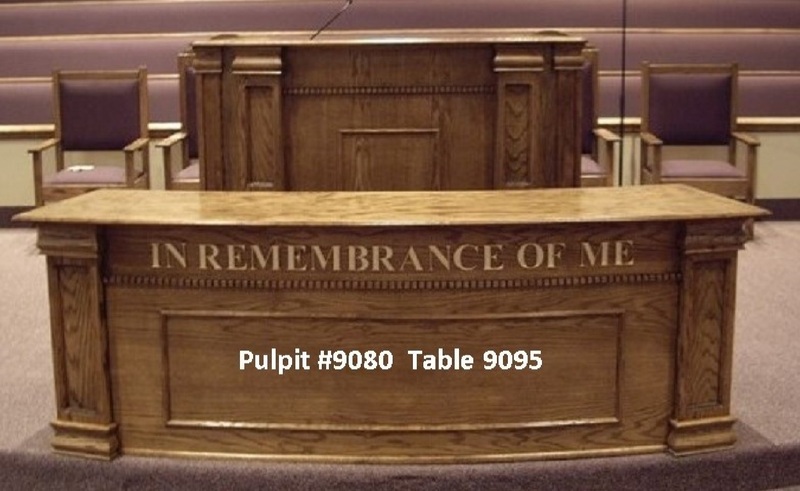 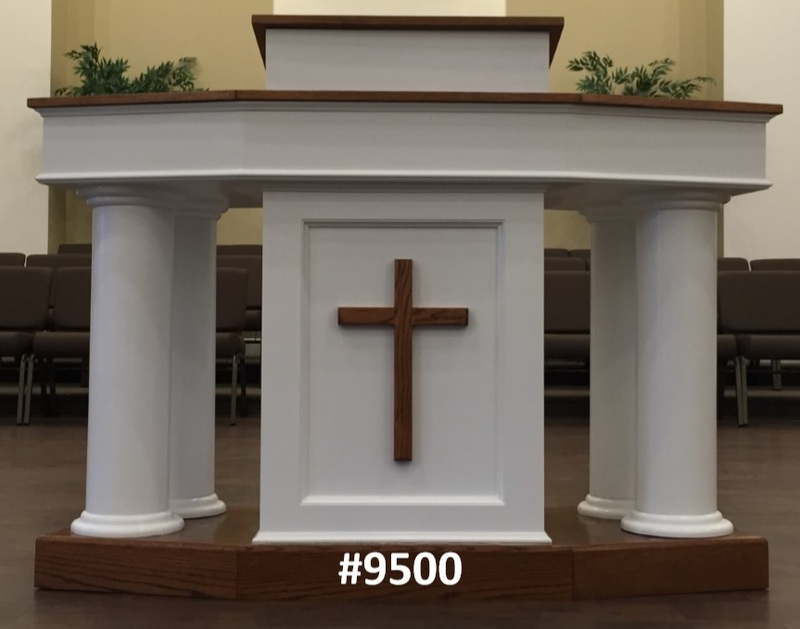 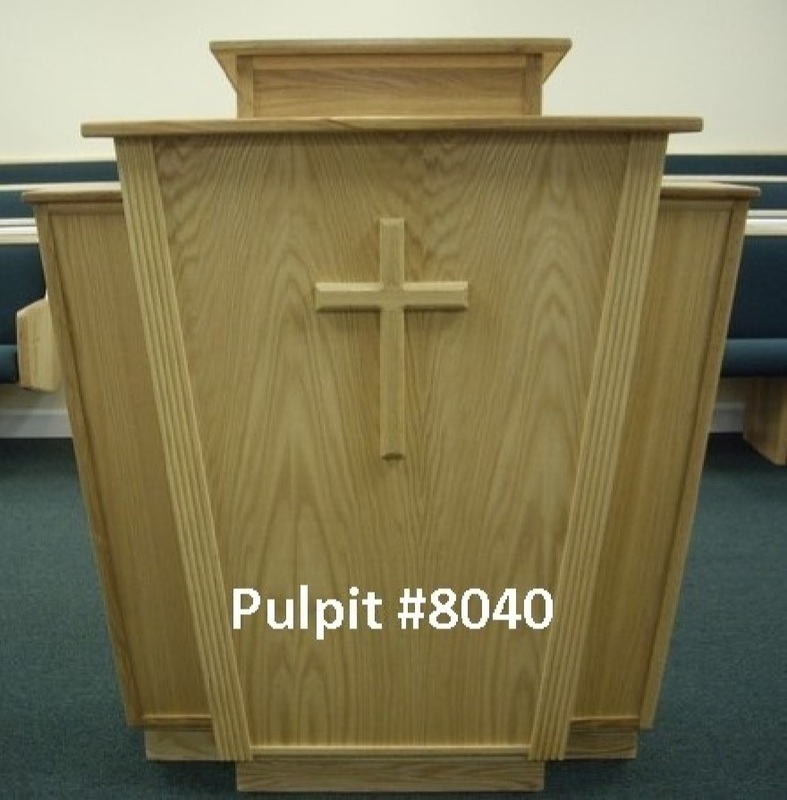 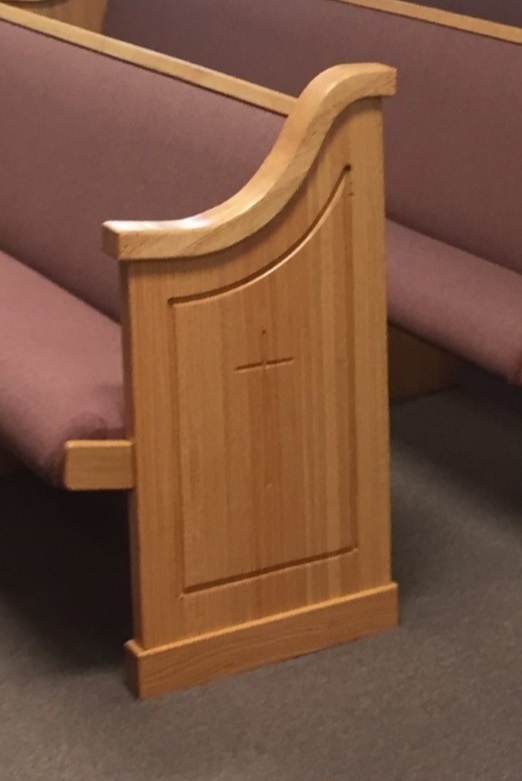 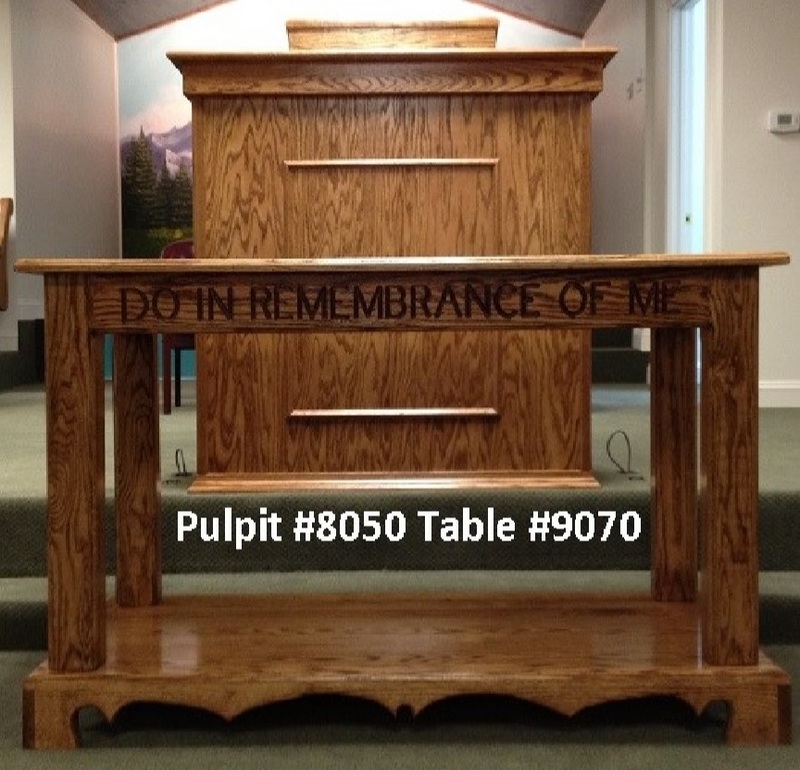 We provide many other types of church furniture including but not limited to: Padded Prayer Alters, Lecterns, Wall Crosses, and Baptismal Fountains.